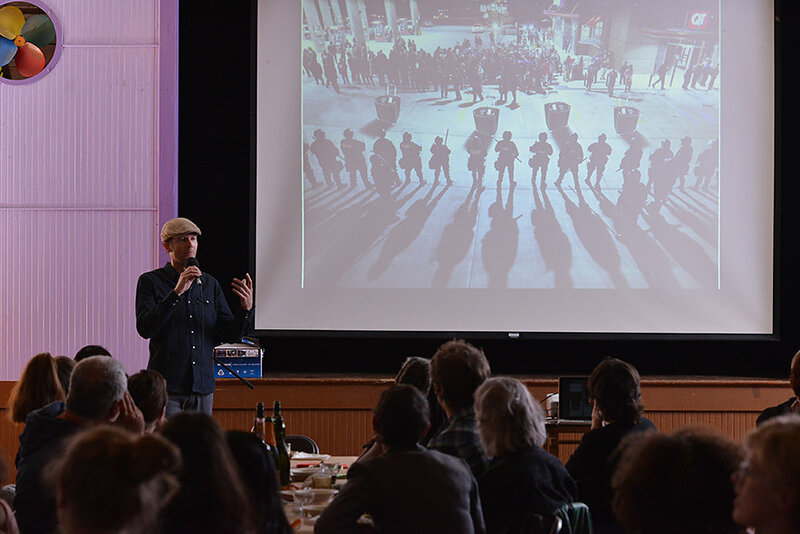 Oakland Stock is a Micro-granting dinner series that supports artist projects. The next dinner in oakland is March 31. We’re also doing a special dinner on March 24 in Palo Alto. Oakland Stock is part of the Sunday Soup network, supporting artists’ projects one bowl of soup at a time. Diners pay a small dinner fee, feast on a gourmet meal, and listen to artists propose new projects that need funding. The diners vote on their favorite project to support and the winning artist takes the money to use for their work. The winner presents their project’s progress at the next meal. Sometimes success in the art world seems pretty random. 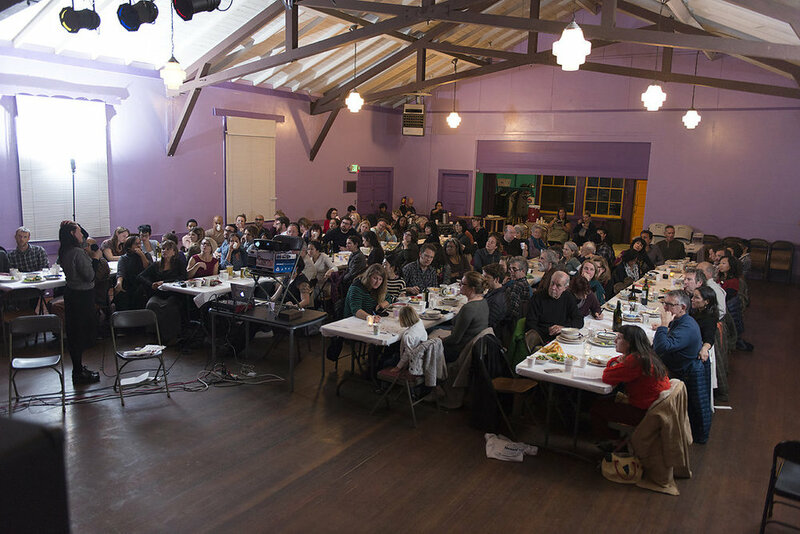 Oakland Stock offers an opportunity for community members to support the cultural production they find important through Food, Funding, Feedback, & Followup. Oakland Stock is organized by artist/chef Lexa Walsh and and supported by a team of fellow volunteers including Elena Durante, Cate Nelson, Maggie Lawson, Eric Lundy, Phoebe Rossiter, River Black, Zena Mello and many more. A slew of generous in-kind donors help too, like Ratto’s International Market and Deli, Far Leaves Tea, and Acme Bread, among others. Oakland Stock was originally supported with a Southern Exposure Alternative Exposure Award in 2012.